At the Global West Government Funds Roundtable, our flagship Roundtable, we gather senior investment officials from major sovereign wealth funds, central bank reserve management funds, government pension funds and the largest public pension plans from all corners of the globe. Discussion topics include global macro-level trends, asset allocation, investment strategy, governance, leadership and organization, risk management, ESG, alternative investments and technology innovations, among others. This event is underwritten and supported by members of the Sovereign Investor Institute. An award-winning political commentator, our speaker will share his unique take on the extraordinary series of po- litical events that have unfolded over the last couple of years across Europe. In particular, he will address Brexit and what the future might look like for Britain and Europe. Steve is a BBC presenter and columnist, presenting a weekly political programme on BBC Radio 4. His latest series is ‘Theresa May- the Brexit Prime Minister’. He writes political columns and his most recent book is The Rise of the Outsiders. Scott E. Kalb, Institutional Investor, Inc.
Cracks showing in the Global Economy, Portfolios under Pressure, Is this a Turning Point for Global Asset Allocators? Harvey D. Shapiro, Institutional Investor, Inc.
Kip McDaniel, Institutional Investor, Inc.
Michael Hume, MKP Capital Management, L.L.C. Featured Speaker: Almost the End of the Brexit Saga: What Next? All the Capital Says 'Private Markets'. All the Flow Data Says 'Private Markets'. So Why Are Investors so Worried about Private Markets? Tom Rotherham- Winqvist, Wafra Inc.
During this private asset owner only session, government funds will have the opportunity to interact informally with peers, followed by a brief presentation on the latest trends in the government fund community and a Q&A discussion. The presentation is compiled from aggregated data collected during polling at previous Roundtables. Setting the stage for the Roundtable, in this opening address, our keynote speaker will review the global macro-economic and geopolitical environment and discuss the outlook for global growth. Considering the uncertain macro-environment and the need to prepare for increased volatility, the Victorian Funds Management Corporation has undertaken a number of projects to make sure the strategic asset allocation process is flexible, robust and sustainable enough to cope with short-term stress while maintaining the long-term goals of the organization. In this case study, hear about some of the improvements VFMC has made to enhance portfolio resilience. For the last seventy years, countries around the world have prospered under a system of global rules, norms, and institutions, that have come to be known as the Liberal International Economic Order (LIEO). Based on the three pillars of security, free trade and open borders (shared values), the LIEO has been remarkably successful in promoting global growth, maintaining peace and helping to lift tens of millions out of poverty. Now, with rising populism, growing trade frictions, widening income disparity, and the rise of China as a global power, the terms of the global economic order are under threat. In this spotlight session our speakers will explore the underlying factors driving us toward a new world order and discuss what it all means in terms of investment opportunity and risks. Working together in small groups of six or seven, delegates will discuss the implications of the previous panel. Panellists will join the table discussions then return to the stage for comments as table captains report on the conclusions from their discussions. Be prepared to share your views! Following a decade of low interest rates government funds are now operating in an era of policy normalization and rate hikes. At the same time, political tensions are threatening the stability of global bond markets, and many expect the escalating trade tensions between the US and China to be the biggest threat to financial markets in 2019. How should sovereign and government funds manage fixed income portfolios given these evolving risks? Stream B:The Problem with Public Markets. What Should Government Funds do About it? Are public equity markets still fit for purpose? Half as many companies are listed today as twenty years ago, leading to lower diversitfication and concentration risk. Shorttermism is rampant, as corporates feel pressure to meet quarterly earnings expectations. Share buy backs and financial engineering are diverting precious capital away from investment. Finally, more firms are staying private for longer, leading to fewer growth opportunities and tech firms to invest in. Having rebounded strongly over the last decade, are public equity markets fine the way they are, thank you very much, or are they in need of an overhaul? What role can government funds play to make them more healthy? Stream C: Is the Private Debt and Credit Markets Swoon Over? Over the last decade an unprecedented level of capital has flooded into private debt and credit strategies, making it a significant asset class for sovereign and government funds. At the same time, concerns about default risks have started to rise, amid a sharp increase in global indebtedness, as expressed by both the US Treasury and the IMF. This development is leading investors to re-examine exposure and investigate innovative ways to access private debt and credit strategies while controlling risk. Join this discussion to learn more! An award-winning political commentator, our speaker will share his unique take on the extraordinary series of political events that have unfolded over the last couple of years across Europe. In particular, he will address Brexit and what the future might look like for Britain and Europe. As the Independent’s chief political commentator for over ten years, Steve is also a regular panellist with Andrew Neil on BBC One’s Sunday Politics. Government funds have been increasing allocations to private markets over the last decade to generate alpha, diversify portfolios and find attractive uncorrelated return streams. As discussed at the Global East Roundtable in Singapore, shortcomings in public equity markets, such as short-termism, volatility and financial engineering, have been supporting this trend. However, today we see new challenges on the horizon for private market strategies, including the rise of anti-globalization sentiment, potential trade wars and growing political risks. Will we see asset allocators continue to increase allocations to private equity, debt, infrastructure and real estate? How will they navigate these choppy waters? Private equity has been drawing huge inflows from government funds over recent years, to the extent that the amount of “dry powder” in the industry, estimated at $1trillion+, has hit record levels. Now investors are concerned about how this capital will be deployed, especially in a tough global environment that seems to be changing on a daily basis. In this workshop, two leading sovereign wealth funds will outline how they partnered to co-invest in private equity. Following the case study, our experts will share their views on trends in private equity today and how capital is being deployed, including through direct- and co-investment channels. Stream B: Emerging Markets Fared Poorly in 2018: Can they Turn the Corner in 2019? While western economies face a wave of opposition against globalization, emerging markets are bulwark of internationalism and outward looking development models, relying on trade as an engine for growth. Today, EM economies make up a much larger share of global trade and investment than in the past, but can they continue to provide a steady source of dynamism and global growth, as well as attractive opportunities for investors, in the face of rising tariffs and protectionism? How will EM adapt to this new world order? How should asset allocators approach EM investing given this backdrop? Which countries and investment strategies are most attractive in the current environment? Stream C:	Smart Beta and Factor-Based Investing: Alpha Generator or Systematic Risk? Smart beta and factor-based investing strategies continue to grow in popularity among state-owned allocators. Attractive risk management features and low-cost structures are just a few reasons for the increased level of interest, but what about the challenges? Are there potential pitfalls that investors should be aware of? Which factors are likely to be most attractive for sovereign fund investors going forward, especially in a global environment where the rules of the game are changing? Institutional investors have been facing challenges of lower returns, fee compression, geopolitical risks, and tech disruption for some time, but the rise of anti-global sentiment both at home and abroad and increasing nationalistic pressures to close borders and shutter trade agreements, presents new and complex challenges. In this session, our esteemed panelists from leading global asset managers will discuss the current outlook and future prospects for global markets and the institutional investment industry in an increasingly complex environment. After an informative and productive day, continue your conversations over a refreshing drink during a wine tasting hosted by the Rothschild Vineyard. Sample a selection of white and red wines and enjoy learning about the history and production of these special wines from an extraordinary vineyard. Join your peers for dinner and continue your conversations in a relazed and informal setting. Foreign reserve assets grew at a rapid pace during the period of the “great moderation” and in the aftermath of the global financial crisis, leading to changes. Over the last decade, central bank thinking has evolved regarding the accumulation of reserves and how they should be managed, but changes in the structure of the global economy are again causing central banks to rethink their models. In this session, a group of reserve managers will discuss some of the trends we have seen in recent years at Central Banks and initiatives underway to tackle new challenges. The largest investors in New Zealand are urging tech giants - Facebook, Google and Twitter - to better monitor and censor the content that is shared across their platofrms. This follows the Christchurch terror attacks which was live-streamed and shared on social media. Hear directly from Matt Whineray about this initiative. Technology has transformed what we invest in and how portfolios look. For example, twenty years ago companies such as Ford, GE, Marlboro and AT&T were among the top 15 brands globally. Today they don't even make the list and have been replaced by firms such as Apple, Amazon, Google and Samsung. Technology is also transforming how we invest. Our ability to collect, store and process data has expanded exponentially. AI is empowering new quantitative investment strategies, and instant, efficient informaiton sharing is breaking down investment barriers. As technology continues to advance at lightening speed, government funds much be adaptive and flexible in assessing what to invest in as well as how to implement technology in their process. Stream B: ESG: Is it Essential for Long-term Investors or Just a Bull Market Phenomenon? With tensions growing between world leaders and challenges facing the global economy that threaten to destabilize financial markets, asset allocators are wondering how best to continue to incorporate ESG risks into investment portfolios. What are the priorities? How can institutional best reflect the ethical preferences of stakeholders in investment policies? Will responsible investing practices begin to slip, given challenges investors face in the global portfolios" Will climate change remain a key focus? These are just some of the topics to be discussed in this session as we examine how government funds seek to add social and environmental value while generating financial returns. With global markets facing headwinds in terms of volatility, rising rates, political uncertainty, and technology disruption, building a robust organisation with a strong governance structure and culture is more important than ever to weather potential storms and thrive over the long-term. In this session, hear how one leading pension fund is making changes to its organisation for investment success over the long-term. Mission focused, strong leadership and purpose, are just a few of the factors that create a robust and vibrant investing culture, organization and governance structure. What are the practical steps and initiatives that sovereign and government funds need to take in order to improve their organizations for long-term investment success? Following the panel discussion, and working together in small groups of six or seven, delegates will discuss questions and about optimizing governance, culture and organization. Panelists will join the table discussions then return to the stage for comments as table captains report on the conclusions from their discussions. Scott E. Kalb was appointed Chairman of the Sovereign Investor Institute (SII) in July 2016 after serving as Executive Director for three and a half years. He is the founder and CEO of KLTI Advisors, dedicated to working with the sovereign and government fund community on long-term investment solutions. Scott also is Fellow and Senior Advisor for Bretton Woods II at New America and founder of the Responsible Asset Allocator Initiative, promoting responsible investing and supporting the Sustainable Development Goals (SDG). During 2009-2012, Scott served as the CIO and Deputy CEO of the Korea Investment Corporation (KIC), Korea's US$130 billion Sovereign Wealth Fund. Assets under management grew from US$19 billion to US$60 billion during Scott's tenure. Prior to KIC, Scott worked in the financial industry for more than twenty-five years, including at firms Balyasny, Black Arrow Capital, Tudor and Citigroup/Smith Barney Asset Management. Scott has been a member of the World Economic Forum Global Agenda Council on Long-Term Investing since 2009 and serves on the Advisory Board of the Private Capital Research Institute, a Harvard based initiative. Scott lived in Asia for over fifteen years, speaks Korean and has an AM Degree from Harvard and a BA degree from Oberlin College. Dr. Hua Fan is the Head of Asset Allocation Department at China Investment Corporation, the Chinese Sovereign Wealth Fund. Her responsibilities include proposing the firm's strategic and tactical asset allocation, managing the total portfolio exposure, conducting strategic research as well as being members of the firm's Investment Committee and Risk Committee. Previously she was the head of Fixed Income and Absolute Return Investment Department, where she managed the firm's absolute return portfolio of external hedge fund managers as well as internally managed strategies from 2011 to 2016. Hua joined CIC as a managing director in the Asset Allocation department in 2009. Before CIC she was the Global Head of Risk Modeling Group at Goldman Sachs where she spent 11 years in Risk Management and Fixed Income Trading. Hua holds a PhD from Columbia University in Finance and a B.S. from Peking University in Mathematics. She published papers on Review of Financial Studies and Journal of Portfolio Management etc. Hua was named as one of "the 25 Most Influential Women in Asset Management" by Asian Investor magazine in 2013. Her team won the Institutional Investor Award as the Sovereign Wealth Fund Hedge Fund Team of the Year in 2013 and 2014, and was nominated for 2015. She also received the Industry Leadership Award from "100 Women In Hedge Fund" in 2015. Hua has been a council member of China Wealth Management 50 Forum since 2013. Russell joined VFMC in May 2017 as Chief Investment Officer (CIO) where he is responsible for overseeing the management of more than $50b on behalf of a number of Victorian public authorities. Russell joined VFMC from Mercer where he was the Global CIO (Mainstream Assets) since 2011 and CIO (Pacific) since 2003. This role saw him overseeing all discretionary equity, listed property, fixed income and multi-asset portfolios worldwide and was specifically responsible on a day-to-day basis for all portfolios based in the Pacific region. Russell also chaired the Mainstream Assets Global Investment Committee and Global Strategic Research Committees. Prior to this, he spent six years in Mercer Australia as an investment consultant and head of Investment Research. Russell also gained eight years of investment and financial services experience working as manager of the investment research function for one of Australia's largest superannuation funds, UniSuper, and as head of Investment Performance Analytics for a major fund manager. Russell holds a bachelor of economics from Macquarie University. He is a fellow of the Institute of Actuaries of Australia and a senior associate of the Financial Services Institute of Australasia, and has lectured and tutored in investment subjects for both organisations. Dhaval Joshi joined BCA Research in 2011 and is currently BCA’s Senior Vice President, European Investment Strategy. 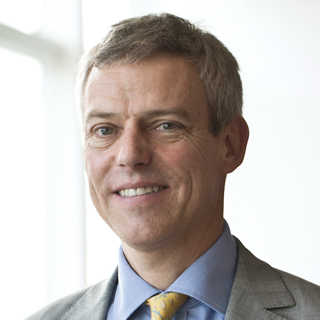 Prior to joining BCA, he held positions as Chief Strategist at RAB Capital, a U.K. based hedgefund, and Global Strategist at Société Générale, where he became well known for his analysis of economic and financial cycles – consistently receiving high rankings in external surveys, including the Extel award for best new pan-European analyst in 2000. Dhaval spent the 1990s as an Investment Manager at JP Morgan Fleming where he managed $1 billion of global mandates, specializing in applied behavioral finance. His commentary and analysis appear regularly in leading financial publications such as the Financial Times and The Economist. Dhaval holds an MA (Hons) from Cambridge University, England and is an Affiliate of the Institute of Actuaries. Olivier Rousseau is Member of the management Board of the French Pension Reserve Fund (FRR) since November 2011. After graduating from the French National School of Administration (ENA) in 1986, Olivier joined the French Treasury in Paris. He worked for 11 years at BNP Paribas in corporate banking and financial markets (asset swaps, fixed income origination, equity research and distribution, corporate finance, equity derivatives), in Paris and mostly abroad. Olivier also served on the Board of Directors of the European Bank for Reconstruction and Development in London and as Economic Counsellor at the French Embassy in Stockholm. Main responsibilities Colin leads the Credit team across London, Singapore, Toronto, Chicago and Paris. He is also a Responsible Investment Officer leading the efforts to ensure that ESG (environmental, social and governance) factors are integrated into all aspects of the credit process and that we actively engage with corporates on ESG related matters. Experience and qualifications Prior to joining Aviva Investors, Colin worked at Aegon Asset Management as a fund manager and banking analyst. He began his career at the Financial Services Authority in 2002. Colin holds an LLB (Hons) from the University of Edinburgh. He also has the Certificate in Securities and Financial Derivatives from the Securities Institute and is a CFA® charterholder. Frédéric Nadal – is a Managing Partner, Chief Executive Officer CEO and Co-Head of Origination. He joined in 2000 and is a member of the MV Credit Manager Board. Prior to MV Credit, he was an Investment Manager at Intermediate Capital Group (ICG) where he worked in London and Paris. Frédéric holds a Master (Honours) in Strategy, Planning and Management Control and a Bachelor of Arts in Business Administration from University Paris-Dauphine. 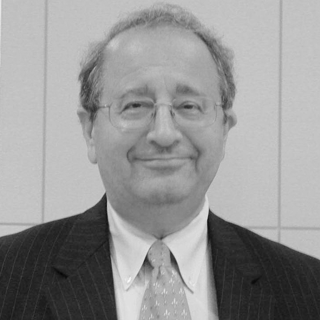 Harvey Shapiro has been associated with Institutional Investor since 1972 and is currently Senior Advisor to Institutional Investor Conferences and Senior Contributing Editor of Institutional Investor Magazine. Harvey has written and edited articles on a broad range of financial topics. In addition, he has been the Personal Finance Columnist for The New York Times and has written for a number of other leading magazines and newspapers. Harvey has also been a consultant to the President's Commission on Income Maintenance Programs, the Cabinet Committee on Cable Communications, the Ford Foundation, and the Rand Corporation. He has been a speech writer for a number of U.S. political candidates and senior corporate executives. Harvey has also been an Adjunct Professor at Columbia University, where he was a Walter Bagehot Fellow in Business and Finance. He received the University of Missouri's annual award "for excellence in financial reporting" on two occasions and is listed in "Who's Who in Finance" and "Who's Who in America." Harvey holds degrees from the University of Wisconsin, Princeton University and the University of Chicago. Kip McDaniel is the Chief Content Officer & Group Editorial Director for Institutional Investor. Kip was formerly the founding editor of Chief Investment Officer magazine. In 2016, Kip was named the McAllister Editorial Fellow for the Medill Magazine Project at Northwestern University's Medill School of Journalism. His work, as both an editor and writer, has been nominated for 18 Jesse. H. Neal Awards. He has won six times, including for best single article, profile, and media brand. Before launching CIO in 2009, Kip rowed for the Canadian National Rowing Team from 2005 until 2008, where he won two bronze medals at the World Rowing Championships (2005 and 2007). Kip has government and land economy degrees from Harvard University (2004) and Cambridge University (2007), and originally hails from Vancouver Island, Canada. He now resides in New York City and Bow, New Hampshire. Matt was appointed Chief Executive Officer of the Guardians in July 2018.Matt first joined the Guardians in May 2008 as General Manager, Private Markets. In 2014 he became Chief Investment Officer, overseeing the Investments Group, responsible for the Fund's portfolio construction and investment activity in listed and unlisted markets, both directly and through investment managers. Matt's achievements in this role included overseeing the development of the Fund's climate change strategy, risk allocation process and risk budget framework, along with strengthening of the Guardians' New Zealand and international direct investment capabilities. Before joining the Guardians, Matt was at Credit Suisse (Hong Kong) where he was Head of Financial Sponsor Coverage for non-Japan Asia. Prior to this, he was a Managing Director at First NZ Capital in New Zealand and a Vice President at Credit Suisse First Boston in New York. 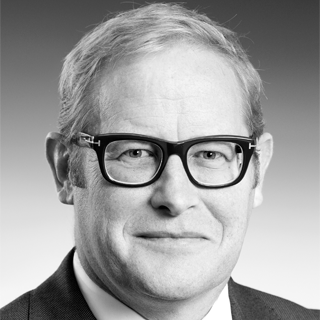 Matt began his career as a Barrister and Solicitor with Russell McVeagh in Auckland.Matt is a member of Focusing Capital on the Long Term and a Director of Netball New Zealand. Matt has previously served as a member of the World Economic Forum General Agenda Council on the Future of Investing. Mr. Hume is a Managing Director and Head of Strategy and Research. Mr. Hume is currently based in MKP's London office. 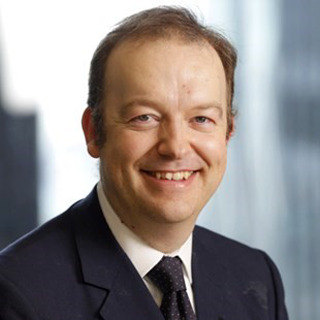 Prior to joining MKP in 2016, Mr. Hume was Head of the Capital Markets Division at the Bank of England. Mr. Hume was also a Senior Adviser on International Issues and Monetary Policy Adviser to the MPC. From 1997 to 2008, Mr. Hume was at Lehman Brothers, where he rose to become Chief European Economist. Mr. Hume has published a number of articles in books and academic journals on the topic of financial imbalances and he has served on international policymaking committees at the G7, OECD, and Financial Stability Board. Mr. Hume read Philosophy, Politics, and Economics at the University of Oxford, took an M.Sc. in Economics at the University Warwick, and is currently affiliated with the European Institute at London School of Economics. Thato Norman holds a Bachelor of Arts Degree in Actuarial Sciences from Butler University and a Masters Degree in Finance from University of Manchester. 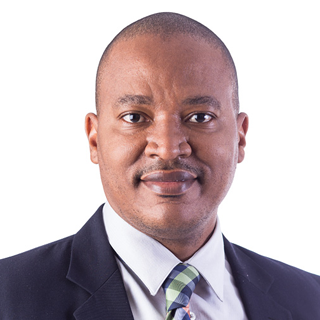 He is currently employed by Debswana Pension Fund as Investment Manager in the Executive Team where he is responsible for the effective development, implementation, maintenance and general oversight of the Debswana Pension Fund strategic investment program. Mr. Norman is also responsible for a wide variety of functions including designing the investment process, asset management, assessing business risks, asset allocation levels aimed at creating a diversified portfolio of investments in addition to conducting investment research as well as technical analysis. Prior to joining Debswana Pension Fund Mr. Norman was employed by the Bank of Botswana for twelve years initially as Dealer and later promoted to Senior Dealer; a role which entailed the management of the Bank’s foreign exchange reserves. An award-winning political commentator, our featured speaker will share his unique take on the extraordinary series of political events that have unfolded over the last couple of years across Europe. In particular, he will address Brexit and what the future might look like for Britain and Europe. Having been the Independent's chief political commentator for over ten years, Steve is also a regular panelist with Andrew Neil on BBC One's, "Sunday Politics." Andre Bourbonnais, Managing Director, is the Global Head of Long Term Private Capital. Prior to joining BlackRock, Mr. Bourbonnais was President and CEO of PSP Investments, one of Canada's largest pension investment managers with $153 billion of assets under management as at March 31, 2018. Prior to joining PSP Investments in March 2015, Mr. Bourbonnais spent nine years with CPPIB where he was Senior Managing Director & Global Head of Private Investments. As such, he was responsible for a portfolio of private investments totaling over $65 billion. He previously oversaw the 2005 initial public offering of Addenda Capital Inc., a leading fixed income manager, and managed private equity portfolios for the Caisse de depot et placement du Quebec from 2001 to 2004. 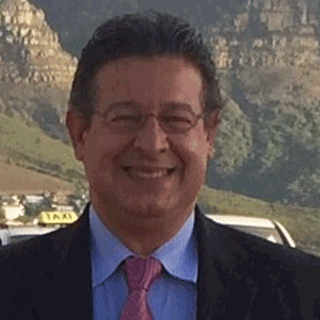 A lawyer by training, Mr. Bourbonnais began his career in 1986 with Stikeman Elliott LLP. After three years in Europe working for a merger and acquisition consulting firm, he joined Teleglobe, a leading international telecommunications company, where he became Chief Legal Officer in 1995 until its acquisition by BCE in 2000. Mr. Bourbonnais is a graduate of the University of Ottawa (1984) and of the London School of Economics (1986). 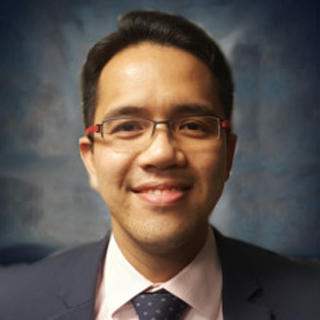 Andrew Ness is co-manager of Templeton Emerging Markets Investment Trust.Prior to joining Franklin Templeton in September 2018, Andrew was as a Portfolio Manager at Martin Currie, an Edinburgh based asset manager. He began his career at MurrayJohnstone in 1994 and also worked with Deutsche Asset Management in both London and New York before joining Scottish Widows Investment Partnership in 2007.Mr Ness holds a B.A. (Hons) in Economics and an MSc in Business Economics from the University of Strathclyde in the UK. He is an Associate Member of the UK Society ofInvestment Professionals and a member of the CFA Institute. Isabelle Bébéar joined Bpifrance (formerly CDC Entreprises) in 2001. She is currently Head of International and European Affairs of Bpifrance. She manages a fund of funds dedicated to investment in Africa, Averroès Finance, and is responsible for relations with sovereign wealth funds and long-term investors.Before she was Head of Business Development and support for SMEs and Head of Investments in French regional private equity funds and South-Mediterranean countries, with nearly €300m under management. Isabelle previously worked in the pharmaceutical industry as international human resources manager.Isabelle has a degree from the Institut Supérieur de Gestion international business school.She is President of the Management Board of Euromed Capital Association. She is a director on the board of Proparco (AFD Group) and a member of its Audit and Risks Committee.Knight of the National Order of Merit since 2014. Bpifrance Bpifrance is the French sovereign wealth fund that supports companies, from their start-up to their listing on the stock market. With total assets of 80 billion euros, Bpifrance invested 2 billion in 2018, both directly and in funds of funds. It is a subsidiary of the State and the Caisse des Dépôts. 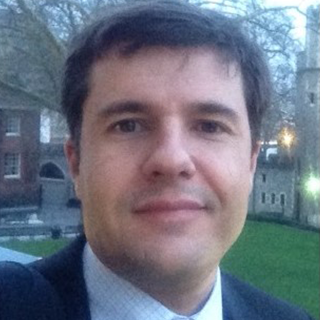 Luiz Claudio Levy Cardoso is Chief Investment Officer of Nucleos Instituto de Seguridade Social since 2007. Nucleos is the pension fund for the employees of the nuclear industry with USD 1.0 billion in assets. Before joining Nucleos he served as comercial manager of INB, the brazilian nuclear fuel cycle company. Luiz graduated in Economics at Faculdades Integradas Bennet. Mike Rosborough is a Senior Portfolio Manager and Investment Director at the California Public Employees Retirement System (CalPERS), the largest pension fund in the United States, and is in charge of the Fund’s international and emerging markets fixed income investments and the Fund’s inflation program which is comprised of global inflation linked bonds and commodities comprising over $35 billion of the Fund’s $310 billion in assets. In addition he oversees CalPERS’s currency management activities and is one of seven members of the Fund’s Tactical Asset Allocation team. With an investment career spanning over 30 years Mr. Rosborough began as a trader at RBC Capital Markets in Toronto, Canada and later headed its Asian fixed income sales and trading group in Tokyo, Japan. He joined PIMCO in Newport Beach, California in 1994 as a portfolio manager where he founded that firm’s emerging markets fixed income practice after co-heading its international department. In 2000 Mike left PIMCO to join Moore Capital, a New York based hedge fund as a portfolio manager for that firm’s fixed income fund. Prior to joining CalPERS in 2010 he worked in London, UK for Citigroup as a strategist and proprietary trader. Mike holds a BA (Honours) in Economics from the University of British Columbia, an MSc in Economics from the London School of Economics and an MBA with distinction from the Harvard Business School. Shakir Asri is currently the Principal Officer of Prima Ekuiti (UK) Limited. Started as a Portfolio Manager here in 2015, he leads the establishment in areas of strategic development and implementation of its corporate strategic plans while ensuring sustainable investment and corporate returns. From his initial background of policy formulation in Bank Negara Malaysia, Shakir built his experience in investment, particularly in Global Fixed Income and International Equities, managing the international reserves. He is a CFA charterholder since 2011. Tom Rotherham-Winqvist joined Wafra in November 2018. He previously spent 5 years at the Institutional Investors Roundtable (IIR) and Fiduciary Investors Roundtable for Collaboration and Partnerships (FIRCAP), asset-only platforms created to promote innovation and peer collaboration in private markets. Tom joined the IIR from Hermes/BTPS, where he was Director, Private Markets with responsibility for strategy and policy advisory, industry affairs and business development in private markets. In this role, Tom acted as Founding Chair of the UN PRI’s Private Equity workstream and Co-Chair of the ESG Disclosure Framework drafting group. 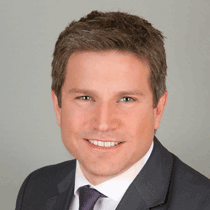 From 2004-2009, Tom worked in corporate advisory, providing strategy and communications advice to FTSE100 and FTSE250 companies, as well as several leading private equity houses. Prior to moving to the UK in 2002, Tom worked for 10 years in France, Switzerland and Uganda advising governments on international trade and investment policy. Tom has a B.A. Economics from McGill University, Canada. Vicki helps clients achieve successful transactions throughout the deal process and portfolio company lifecycle. She is a member of our global private equity team and has wide experience of working for corporate clients but particularly private equity houses and portfolio companies on major transactions across the UK, Europe and the US. Alongside her industry role, Vicki is a financial due diligence partner and has been working in Transaction Services for over 20 years. Vis Nayar is Deputy CIO, Equities and is responsible for investment research. He has been working in the industry since 1988, joining HSBC Markets in 1996, and has been with HSBC Global Asset Management since 1999. Over his career Vis has extensive research and portfolio management experience in the long only equity, alternative investments and structured products businesses. Vis holds a BSc in Electrical Engineering from Imperial College, University of London and a Masters in Finance from London Business School. He is a CFA charterholder, holds a Certificate in Quantitative Finance (CQF) and also qualified as a Chartered Accountant in the UK. He is also a member of the advisory board for the Masters in Finance programmes Vis Nayar at Imperial College. Jean Boivin, PhD, Managing Director, is Global Head of Research for the Blackrock Investment Institute and is a member of the EMEA Executive Committee. His team is responsible for economic and markets research, and for developing the core principles and intellectual property that underpin BlackRock's approach to portfolio design, such as capital market assumptions and optimization tools. Prior to joining BlackRock, Dr. Boivin served as Deputy Governor of the Bank of Canada and Associate Deputy Finance Minister, serving as Canada's representative at the G7, G20 and Financial Stability Board. Dr. Boivin has also taught at Columbia Business School and HEC Montreal and has written widely on macroeconomics, monetary policy and finance. Dr. Boivin earned a B.Sc. degree in economics from the Universite de Montreal in 1995, an MA in economics from Princeton University in 1997 and a PhD in economics from Princeton University in 2000. Jean Raby is CEO of Natixis Investment Managers and a member of the senior management committee of Natixis. He joined Natixis in 2017 and leads the firm’s asset and wealth management businesses. Before joining Natixis, Mr. Raby served as chief financial officer of SFR (2016), an integrated media/telecom operator in France. Prior to that he served as executive vice president and chief financial and legal officer for Alcatel-Lucent, the global telecom equipment manufacturer (2013–2016). He previously worked in Goldman Sachs' investment banking division for 16 years (1996–2012), where he rose to become a partner of the firm in 2004 and CEO of the division for France, Belgium and Luxembourg and head of the firm's Paris office in 2006 before becoming co-CEO of Goldman Sachs in Russia in 2011. He began his career in 1989 as a corporate lawyer with Sullivan & Cromwell in New York and Paris. Mr Raby, a dual Canadian and French citizen, earned a Bachelor of Laws degree (LLB) from Université Laval in Canada, a master's degree in international relations (MPhil) from the University of Cambridge in the UK, and a Master of Laws degree (LLM) from Harvard Law School in the US. He is a member of the New York Bar. Jean Raby sits on the board of SNC Lavalin, the Canadian engineering group, and on the board of Université Laval (Canada). Muhammad Ali Malik, an accomplished professional with over 24 years of experience in finance, is the Executive Director of the Financial Markets and Reserve Management Group at the State Bank of Pakistan (Central Bank). His main responsibilities include crafting and implementing strategies for the management of the Bank’s foreign exchange reserves and transmission of monetary policy stance in the domestic markets. Mr. Malik has forged landmark international concords including currency swap agreements with the People’s Republic of China and the Republic of Turkey. He has been a considerable force in modernizing Pakistan’s financial sector having launched initiatives like the Electronic Bond Trading Platform, updated guidelines for the derivatives trading and introduction of first ever Government of Pakistan Sukuk. His career at the State Bank builds upon over a decade of extensive involvement in the private sector during which Mr. Malik rose to department head positions at the Standard Chartered Bank in Pakistan where he led sales and trading teams with a pioneering role in launching Derivative products like FX Options, Interest Rate Derivatives, and Cross Currency Swaps to Corporate clients in Pakistan. . Mr. Malik holds a Master of Business Administration and Bachelor of Business Administration from the Institute of Business Administration, Karachi. 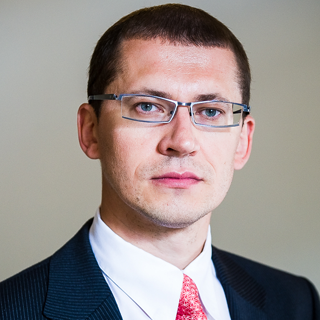 Raivo Vanags is the Member of the Board and the Head of Market Operations Department at Latvijas Banka and is responsible for foreign reserves management including portfolio management, risk management and monetary policy operations. 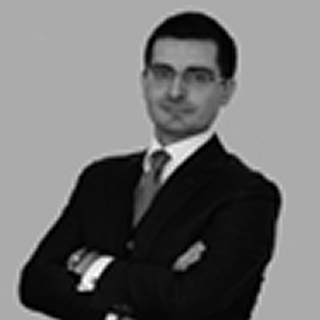 He is a member of the Investment Committee of Latvijas Banka and has been with Latvijas Banka since 2002. Raivo is also Latvijas Banka's representative at the European Central Bank's Market Operations Committee. He is the author of several working papers and is a frequent speaker at sovereign reserves management conferences.Raivo started his career in 1997 as equities analyst, from 1998 to 2001, he was running a boutique equities and insurance brokerage house and in 2001 Raivo worked on setting up a new bank. Raivo holds a B.Sc. in Business Administration and Economics, Stockholm School of Economics in Riga, and a M.Sc. in Economics specializing in Finance and Credit, the University of Latvia, and is a CFA charter holder. Raivo taught in CFA preparatory courses and was a professor for the International Financial Management class at Riga Business School MBA program. Head of the Investment Division at the Foreign Reserves Department at Banco Central do Brasil (BCB). Has worked as trader, strategist and portfolio manager for different fixed income desks at BCB in the last 16 years, covering the US, Europe, Canada, Japan and Emerging Markets. Previously, worked for 2 years at the House of Representatives as an economic assistant. Mr. Martinelli has a Ph.D. in Economics and solid experience in portfolio management, macroeconomics and finance. Alice de Bazin joined Amundi in 2015 within the Investment Solutions and is now Head of Business Solutions and Innovation for institutional clients. Since her arrival, she has contributed to the development of innovative strategies and offers for institutional clients with a particular focus on sustainable finance. Past work includes an experience at Deustche Bank AG in the institutional sales team and a year spent at Amundi’s New York office as project coordinator of the Sovereign Wealth Fund Research Initiative. Alice is a graduate of the French business school ESCP Europe (Master in Management) and she holds a master in theoretical and applied economics from the Paris School of Economics (APE Graduate Programme). Anne-Charlotte Hormgard, Senior Manager Sustainability at AP3 (Third National Swedish Pension fund). AP3´s Asset Management is organised in five departments Beta Management, Alpha Management, External Management, Alternative Investments and Portfolio Strategy. Sustainability is, together with Strategic Allocation and Quant, part of the Portfolio Strategy team. Sustainability is addressed across the organization and include all assets. AP3 has investments in global equities and bonds, real estate, private equity, real estate, infrastructure, forestry and ILS. The investments are managed both internally, the major part, and externally. AuM is ca. EUR 34 billion. She holds a BSc in Business Administration and Economics from University of Uppsala and a CEFA. 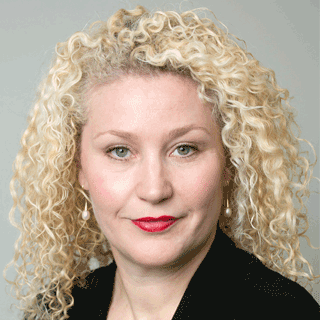 Kelly Christodoulou is the Environmental, Social, Governance (ESG) Manager at AustralianSuper. Her role is to integrates material ESG issues across the investment portfolio. Prior to joining AustralianSuper, she worked in London at the investment banking houses of Credit Suisse and Morgan Stanley. Kelly is a Non-Executive Director of Greencross Australia and is on the Management Committee of the Investor Group on Climate Change (IGCC) and the Asian Investor Group on Climate Change (AIGCC) . She was awarded the Australian Institute of Superannuation Trustees (AIST) 2015 Fund Executive scholarship prize and in 2014 she won the Australian government’s Board Diversity scholarship . 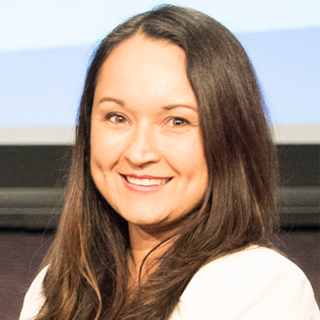 Kelly is a graduate from the Australian Institute of Company Directors (AICD), has a Master’s degree in Finance, a Bachelor’s degree in Commerce and is currently studying Social Impact. Walter Brägger Partner Sanostro AG Dr. Walter Brägger is a Partner at Sanostro. 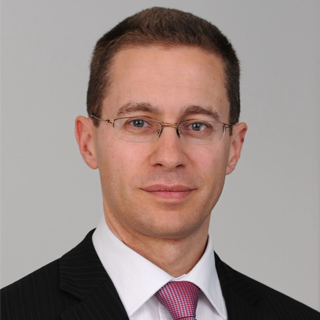 He started his career at SBC Warburg in Zurich in 1996, followed by ten years at UBS Investment Bank in London. When the UBS Business University was founded in 2010, Walter moved back to Zurich and became the global head and managing director of its cross-divisional Finance & Risk faculty. Walter holds a PhD in Mathematics from the University of Basel, Switzerland. 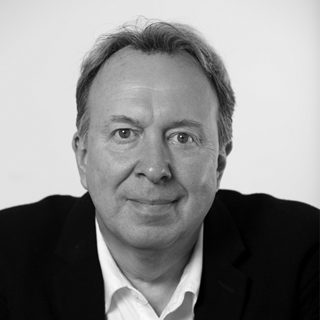 Jaap is an experienced and innovative Director of Strategy. Jaap is the investment director responsible for developing and benchmarking PGGM's Investment Practice in order to stay best practice. He is currently working on PFZW's Investment Strategy 2025. Jaap has broad knowledge and experience on strategy, investment policy formulation, asset allocation and value chain design. In 2013 he was voted CIO / “Investment Head of the Year” by aiCIO. Current other activities include being chairman of the VBDO, the Dutch Association of Investors for Sustainable Development, Chairman of European Chapter of the 300 Club and Member of the Research Committee International Centre for Pension Management (ICPM). Together with Kees Koedijk and Alfred Slager he authored “Achieving Investment Excellence: A Practical Guide for Trustees of Pension Funds, Endowments and Foundations.”Jaap holds a Master's Degree in Finance from the Erasmus University Rotterdam. Mrs. Stella Ojekwe-Onyejeli is the Chief Risk Officer and Executive Director of the Nigeria Sovereign Investment Authority (NSIA).She joined the Authority on 15 October 2012 bringing more than 20 years of Financial Advisory, Risk, Governance and Controls Management experience to the Board of NSIA.In her role as Chief Risk Officer, she is responsible for developing, implementing and embedding effective risk management, governance and operating principles and procedures across the business. She is a core member of the Authority’s Executive Committee that assesses and approves investment proposals and works closely with the Chief Investment officer in the continuous assessment, monitoring and management of project and portfolio risks.Prior to joining the NSIA, she completed a distinguished tenure as Director and Head of Operational Risk and Control at Barclays, where she covered 15 countries spanning Africa, Middle East and Asia.She also served as Vice President and Head of Quality Assurance, Africa, at Citibank, with direct oversight of the Enterprise Risk and Control Environment in 14 countries across Africa.Mrs. Ojekwe-Onyejeli is a qualified Chartered Financial and Tax Accountant. 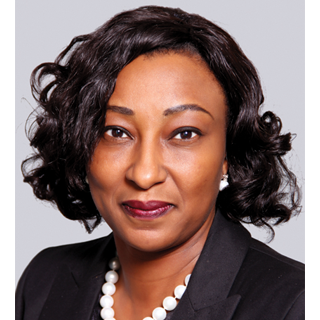 She spent over a decade at professional services firms Arthur Anderson and KPMG in Nigeria and South Africa, providing Transaction and Financial Advisory as well as Business Assurance Services.She holds a first degree in Chemistry from the University of Lagos, and an MBA from Cranfield School of Management in the UK. Mrs. Ojekwe-Onyejeli is a Fellow of the Institute of Chartered Accountants of Nigeria and a member of the Oxford Business Alumni. Experience quintessential London charm in the sumptuous surroundings of this magnificent grande dame hotel. Discover a breath-taking oasis of luxury, sophistication and serenity. A truly enchanting hotel in the heart of the world's finest city. Participation is strictly limited to qualified executives of the sovereign, government and pension fund community. Please complete the registration information and a member of the Sovereing Investor Institute team will be in touch to confirm your registration. Please do not secure your travel arrangements until you have received written confirmation. How are Government Funds Investing in a Global System under Pressure? Emerging Markets: The New Engine of Global Growth? Can Smart Beta and Factor-Based Investing help Generate Alpha in a Changing Environment? Innovations in Private Equity and Partnerships: A Robust Asset in a Rocky World?